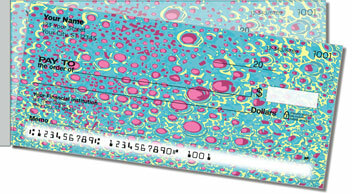 This vivacious check design is sure to freshen up your personal finances with style and creativity. 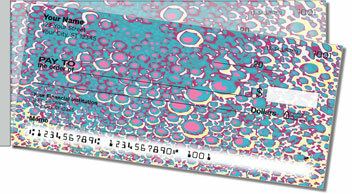 Brightly colored bubbles with neon effervescence create a unique look for your checkbook. Traditional check designs are pretty boring. But you're the furthest thing from boring. You're full of personality! And that's what brought you to this eye-popping selection. 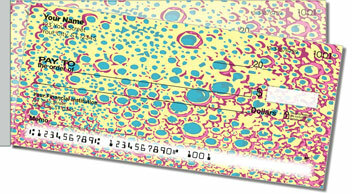 Besides turning heads, these checks will reduce headaches. That's because the shorter perforation on the side leads to far fewer accidental rips and wrinkles. Get your very own Spot Side Tear Checks right now! Order them today with free shipping and matching address labels to make it complete!